One week after T-Mobile announced a round of mid-band LTE upgrades, it’s got another batch of upgrades to tell us about. 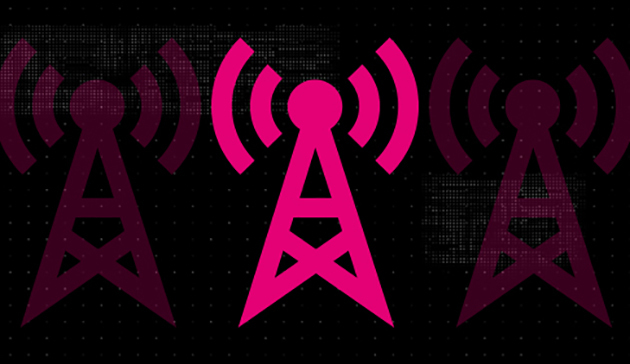 T-Mobile has upgraded hundreds of cell sites with more mid-band LTE capacity, says T-Mo CTO Neville Ray. These upgrades include both PCS and AWS spectrum. This is a pretty sizable batch of upgrades, and it includes cities like Phoenix, AZ; Jacksonville, FL; Des Moines, IA; Klamath Falls, OR; Wilmington, DE; and Rochester, MN. You can check out the full list of cities and towns that were recently upgraded with more mid-band LTE capacity below. Welcome addition to Tampa. It’s not great when I travel there. My hometown has now had it’s midband capacity increased three times in the last four months or so now, according to these announcements. How about adding more band 12 upgrades to metro Honolulu, Waikiki, Ala Moana. Out of about 6-7 towers there’s only one has band 12. And it’s on the opposite east side of Waikiki where it is less dense with concrete buildings? On the south west end of our major Ala Moana Shopping center standing on the side walk outside, and in the food court area there is absolutely no signal? Need to address area the most. And oh one more area On Diamond head road starting at the light house for about a.1/4 miles stretch to the west it a dead area too. They skipped installing 700mhz on towers due to the towers being spaced for 1900mhz. If they placed 700mhz on every tower they own there would be interference since the signal travels farther. Hopefully they add 600mhz on towers that dont have 700mhz. In theory that should work out great for coverage. But, couldn’t the towers adjust their TX power to avoid interfering with other towers? Also, the phones connect to whichever tower is closest/has stronger signal, so wouldn’t the phone be able to work out whichever tower is the best to connect to? I only see an issue happening if you happen to be exactly equidistant between two towers with the same TX power and in the same weather conditions and no elevation differences or other geographic anomalies. Lowering the TX power will negatively effect building penetration. They need some overlap no? Isn’t that how phones switch from tower to tower while moving? I’m not saying add 700mhz to all the towers. Simply add enough to cover the dead areas. Especially, in the south area in front of our largest shopping center, there is no excuse not to have signal there. And I’m talking outside standing on the side walk or in the food court area not even 2g, nada.I been with t-mo since 2012.its always been a dead zone.It was never a problem there when I was with Nextel and later with sprint. Wow, finally an update in Kentucky, but Cadiz??????? Where is that? Now, maybe OneWeb satellites will fix it(supposedly cell carriers have bought bandwidth from OneWeb to use for backhaul once the satellites are actually launched). It might not be backhall. In Temecula at the library I can download 200mbs but just a mile away at my kids dance school I am lucky to load a web page. I am guessing that has to do with hilly terrain. You might have similar issues. I do live in a hilly area, however, I can see the tower from my house, it’s less than 0.75 mile away…. My signal does fluctuate a bit, goes from 1 bar to 5 bars within the span of 10 minutes even though I haven’t moved. The T-Mobile team comes out once a month and “fixes” the tower, the issue goes away for about 2 weeks, then it comes back. Interestingly, Verizon and ATT also use the same tower, and they are having the same problems. Maybe the whole tower just needs replaced? Just because you can see a tower doesn’t mean that you’re connecting to it. Fluctuations like what you’re experiencing are usually do to your phone hopping between towers. I wonder if it would make a difference if it were 100ft taller? According to the T-Mobile rep out here, the problem is a combination of the local geography(I know multipath is an issue. HAM radio operators, such as myself, seem to have similar issues), and they suspect that there is interference from a nearby Verizon tower and/or a nearby AT&T tower, they have already contacted both AT&T and Verizon, they say that their towers are fine. They also say that they are adding band 12 soon…. That might improve things a bit. If you’re on the outskirts of a town then the network probably isn’t that dense and you are seeing congestion.